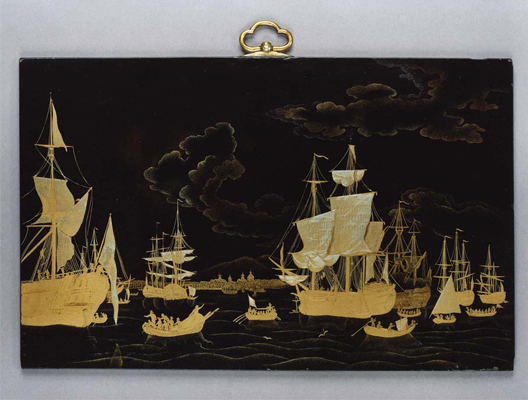 A superb copper lacquer panel depicting the Dutch fleet off Batavia, the headquarters of the Dutch East India Company (VOC) on the island of Java, the reverse side inscribed "DE REEDE VAN BATAVIA" with a coat of arms. 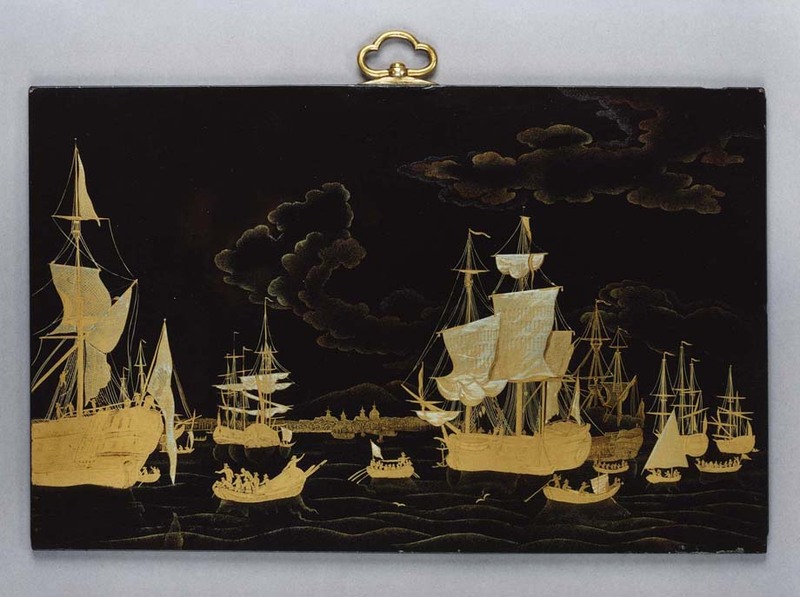 This discovery is concrete proof that Baron de Parkeler was interested in the export of Japanese lacquer to Europe during the eighteenth century. Height 7in (17.8cm). 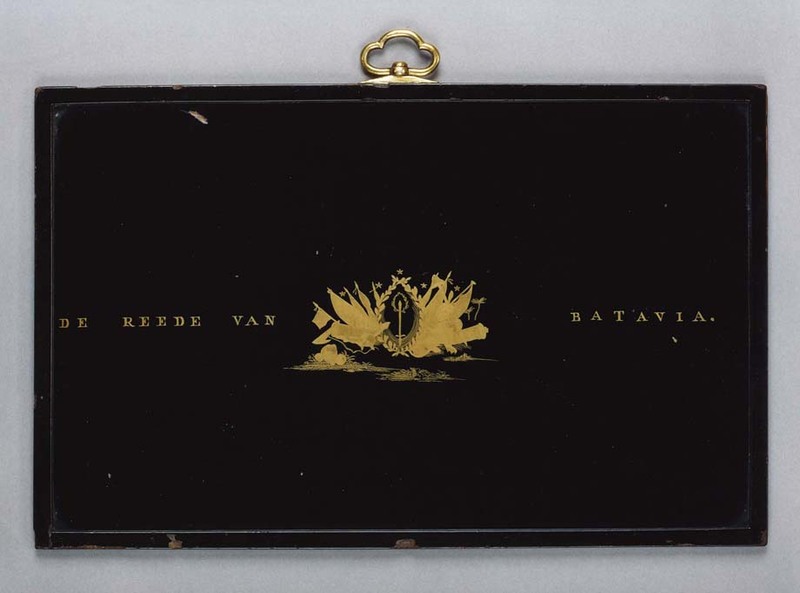 Width 11 1/8in (28.3cm).